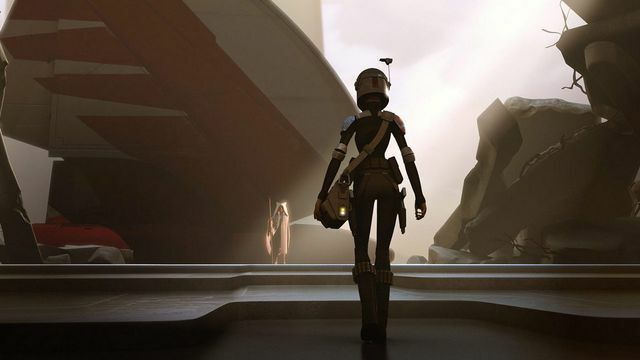 Dave Filoni has been very open as of late while he reflects on Star Wars Rebels now that the series has concluded and Season 4, the final season, is out on Blu-Ray/DVD. 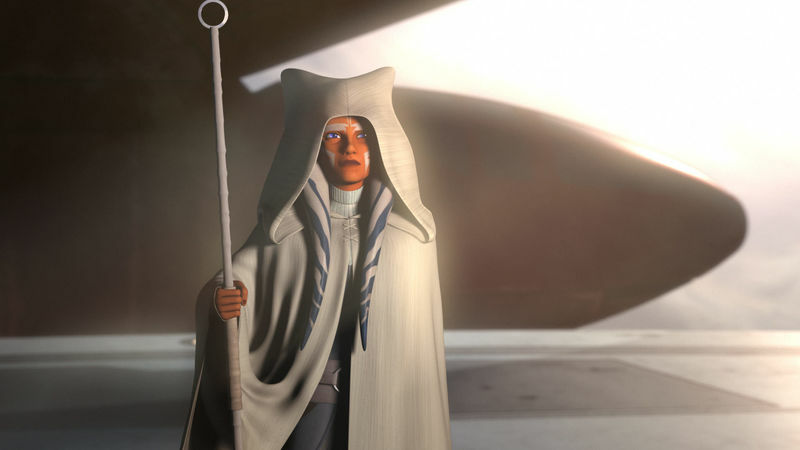 The fate of Ahsoka Tano and Sabine Wren, something that is constantly being discussed by the fans, comes up most often and Dave Filoni has had to respond to questions with answers he doesn't really have...yet. "That would be hard. That would be, to be honest. That'd be really hard for me to do at this point, just because I've been a part of it for so long. Since, especially, Ahsoka's beginning. I can't imagine not being involved in some way with what would happen to her. Or Sabine, for that matter." When we last saw the pair, the former Jedi Tano had arrived on Lothal several years later in a T-6 Shuttle to pick up Sabine and together, go in search of Ezra Bridger. Bridger of course was whisked away to the Unknown Regions by Purrgil's along with Grand Admiral Thrawn, near the end of the final episode Family Reunion - and Farewell. "I feel a responsibility to know and start to figure out what that story is because the fans seem really interested in it, as I'm interested in it. Whether it actually ever happens, I don't know yet, but I still think about it anyway. I think of all kinds stories, and some of them happen and find their way into a release, and some don't. I think it's important to know the story. Especially 'cause there are other creatives and other people to come along that will ask questions to me, the same as you. 'Wow. Well, what happened there?' And so I like to know, and I'm kind of protective of certain character groups. So I feel responsible to know, 'Well, here's what happened.'" So what does everyone think? Will we ever see the journey of these two powerful Star Wars characters come to fruition? Or is their path destined for fan fiction? With "Disneyflix" starting next year, it seems almost anything will be possible for Star Wars here on out. Here's hoping. You can read the full story at comicbook.com by clicking HERE. The final season of Star Wars Rebels is now available on Blu-Ray/DVD/4K. Final Rebels Recon: Inside "A Fools Hope", "Family Reunion" And "Farewell"